If you approach the live game exactly the same way you play online, you’re making a fundamental mistake, says Ben Jackson. Recently I’ve been putting in a lot more volume online rather than live, playing on the site of my new sponsors, LadsPoker.com. Because I haven’t played online for a while, I’ve had to adjust my game a lot as I was playing a sort of “live game poker online”, and found myself getting exploited. One of the biggest differences between the two is that live play is so much more “splashy” pre-flop. Maybe it’s because live players (especially recreational players) want to play more hands and see more flops so it feels like the two-hour journey to the casino was more “worthwhile”, and so they don’t get as bored while waiting five minutes for each hand. The biggest barrier I see people facing is that they are unable to adjust from one form to the other, and it’s usually down to a lack of knowledge – or, in a lot of cases, stubbornness. A very good, established online player, say, who has won lots of money online, will come to play live against a totally different style of opponent, and will play exactly the same way as he would against the maths geniuses online. This is a mistake, as there will be a much more profitable way to play against inferior players who will only three-bet you with less than A-K after they’ve had four coffees and six Red Bulls. I’m not saying all live poker players are like this, but I certainly find that six or seven players on a live table might be, while the other two or three are good pros. Online, I find it’s the other way round. Say, for instance, you are five places off the money in an online tournament, the blinds are 500/1,000 and you have a stack of 25k (25 big blinds). It’s folded round to the hijack, who opens from a 40bb stack, and the button, who has 50bb, three-bets. You’re in the small blind with A-10s. This, for me, would happily be a shove, as I would expect it to go “fold, fold” a lot of the time because online players tend to play a lot more aggressively in general, and especially on the bubble. If this happened live, I would be more inclined to fold, as the average live player’s range here would usually veer towards value. 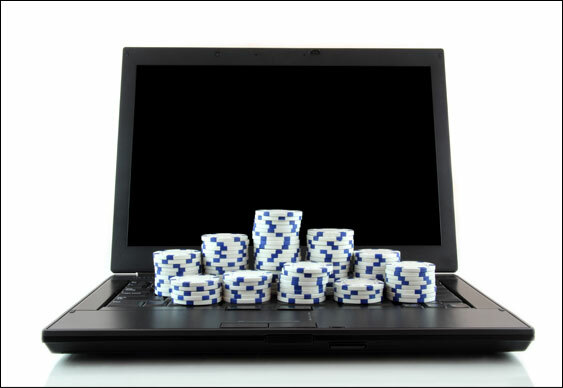 Online, it’s simply a good spot to three-bet light which the majority of players will take advantage of. Another big difference is how players play in the blinds. Online players don’t often tend to flat-call raises in the blinds very often and are more inclined to three-bet if they play the hand at all. Live players tend to call way more often and if they three-bet it’s usually because they have a very big hand. Flatting from the blinds with a marginal hand in an online game against a good aggressive player is generally a bad play. Because online play is a lot more aggressive, you’ll often have to face bets on all three streets and you see a lot of players going “call, call, tank, fold”, which is obviously very exploitable. Say a player raises in mid-position and you call in the big blinds with K-J and the flop comes K-9-5. You check, the villain bets and you call. The turn is a seven. You check, the villain bets and you call again. The river comes a ten, you check and the villain fires a three-quarter pot bet. You’ve gone from calling the flop, thinking you’re ahead and in a very comfortable situation, to a horrible situation, not knowing what to do and usually only beating bluffs. The difference live in the same situation is that your average player rarely three-barrels as a bluff. Even if the aggressor has an open-ended straight flush draw, he will often check back to get a free card. Online players will also often barrel cards that are in their perceived ranges, which creates more levelling scenarios and that, in turn, creates bigger pots with weaker hands, while an average live player will be scared of that perceived good card and take more of a pot-control line. This is why when playing live you have to adjust your thinking from: “OK, I call here because he will be barelling this card a lot,” to something a long the lines of: “If he’s barelling that turn card he’s usually going to have middle pair beat”. For example, say you call a raise in position with pockets eights and the flop comes 9-6-2, your opponent bets and you call. The turn comes a king and your opponent bets again. In this situation I would be more inclined to call online (although not all the time), as they will see it as a good spot to barrell you with the sort of hand it looks like you have. Live, meanwhile, people will often check here, even with a hand like Q-Q/J-J, and then bet the river for value. Online play and live play (in general) are very different games and trying to play a good live game online will not work and vice versa. Of course, there are exceptions where you might be playing live and you have a table full of good online pros, but in general I think a good player should be able to play two totally different styles of poker and be profitable in each one.